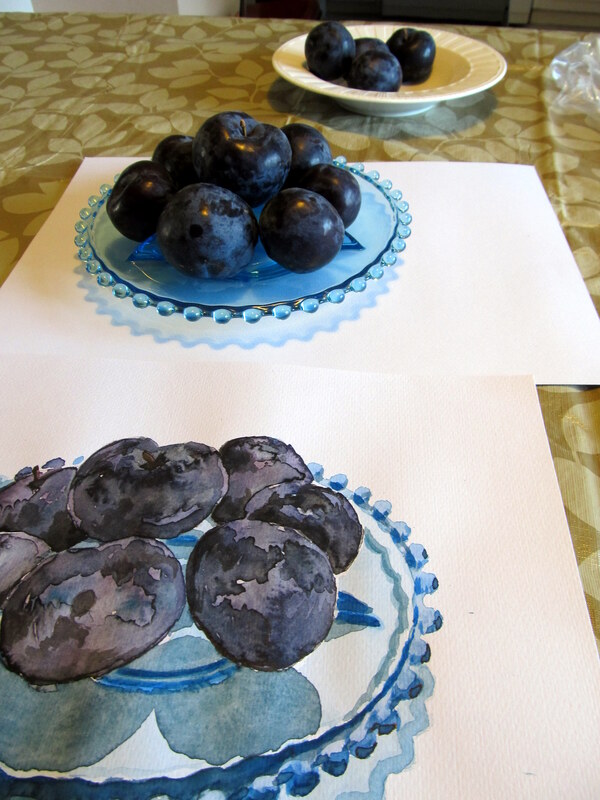 Watercolour Wednesday — Plums on a plate. So much for Watercolour Wednesdays being quick and easy—this one took me three hours to do with waiting for all the layers to dry! Though it is interesting that watercolour painting is teaching me to have more patience and to paint more loosely, two things that I need to work on with my acrylic paintings. Here is the painting with the still life. The plate drove me a bit crazy but it sure is pretty! I’m still stubbornly refusing to work from a photo though maybe I will try that next week, if I remember. ← Blue vase, clear jars still life. Awesome! I’m liking these fruit studies! I was telling Kyle that I think I might be better at painting fruit than I am at painting flowers. 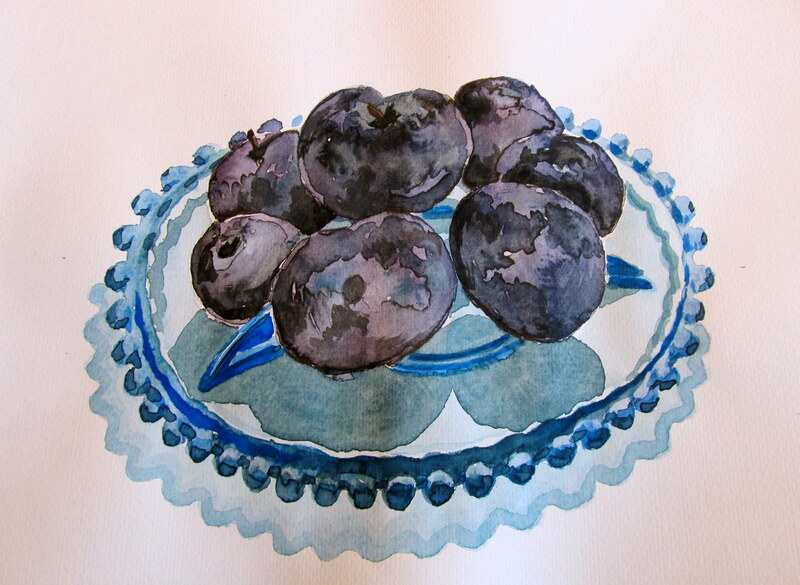 I don’t think I’ve ever painted fruit berfore. How strange.